What do we mean when we call a politician "corrupt"? Is corruption a disease like cancer that can actually kill a human being who contracts it? Or is it more like a cold or flu, contagious and annoying but not life-threatening? How can we ensure that our state and federal governments do not evolve into environments of corruption we thought possible only in third-world countries? 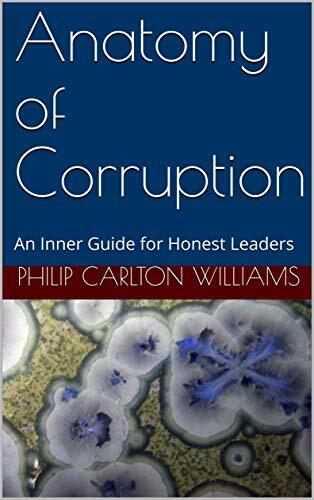 In the ANATOMY OF CORRUPTION, Dr. Williams describes this social disease from the inside out, teaching us how each of us can spot and prevent the symptoms within ourselves, nip them in the bud, and even destroy them if they have already taken root. This is a handbook for those of us who interact with other people. It should be required reading for those who have accepted leadership roles.